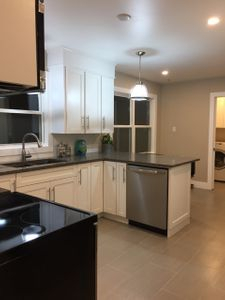 Our Do-It-Yourself Kitchen cabinet refacing (DIY) and refinishing kit program allows the DIY person to do the kitchen renovations with more confidence. Reducing unnecessary expense and hassle. We'll give you the right ideas and know how to get you started with the proper cabinet refacing supplies. Even if you want to replace the kitchen cabinet doors only, we can personally visit with you and do the proper measuring for a small fee. With less risk to take when replacing your cabinet doors we can incorporate proper closing soft close hinges. The DIY refinishing kitchen cabinet painting method is another popular option that Kitchen Refacers offers. 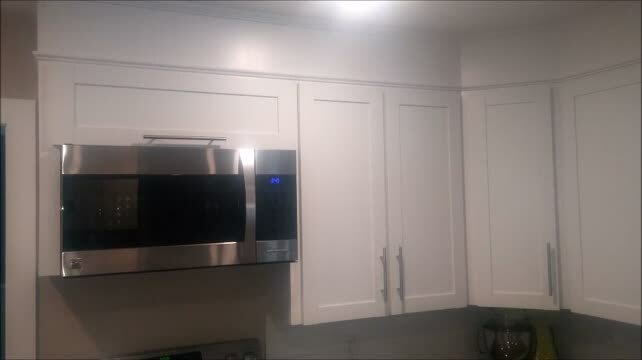 We listen to your ideas, make recommendations by giving you proper advise on preparing your cabinets with proper cleaning and sanding techniques for the refinishing process. We should also mention that bathroom cabinet painting is another option to considered. 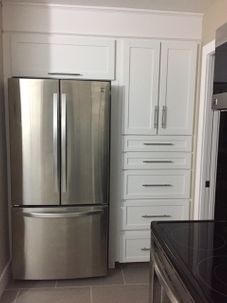 Cabinets on this wall were modified with drawers and a new full depth fridge cabinet with a soft close pull up door. Wall cabinets on top section was removed by customer to created an open concept. 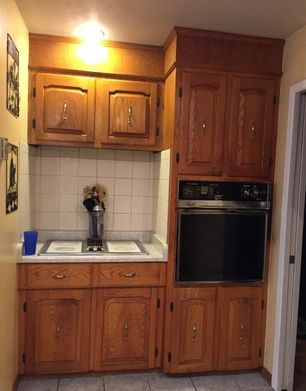 Cabinets on this section were replaced on the bottom. Top section was modified. 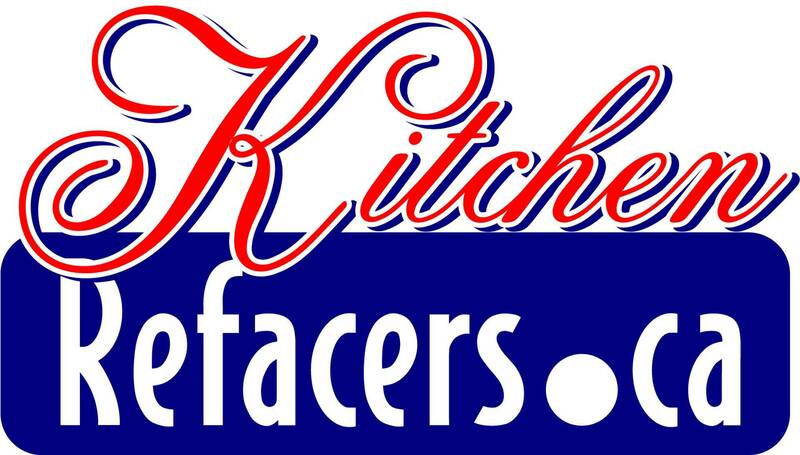 Want to know more about the truth of kitchen refacing-Mississauga-Oakville-Burington. Put together a plan of what you want to do to your kitchen. Make a list from flooring to doors styles, electrical requirements, storage improvements thoughts. 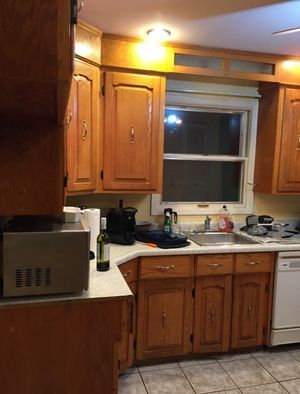 Watch some before and after kitchens and take notes. Once we see your information we will setup consultation. Great Halifax kitchen ideas come together to make a functional kitchen design. This will reduce wasted time and energy when preparing food. 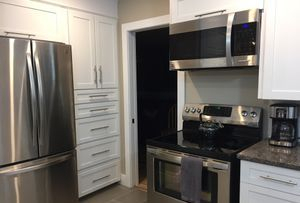 When kitchen refacers takes on the job refacing your kitchen, we want to make sure we put it back together with the proper kitchen storage cabinet. Kitchens were manufactured with little thought in storage in the past. Now we look at a kitchen design that will give us plenty of storage. To save time, energy in food preparation and cleaning. 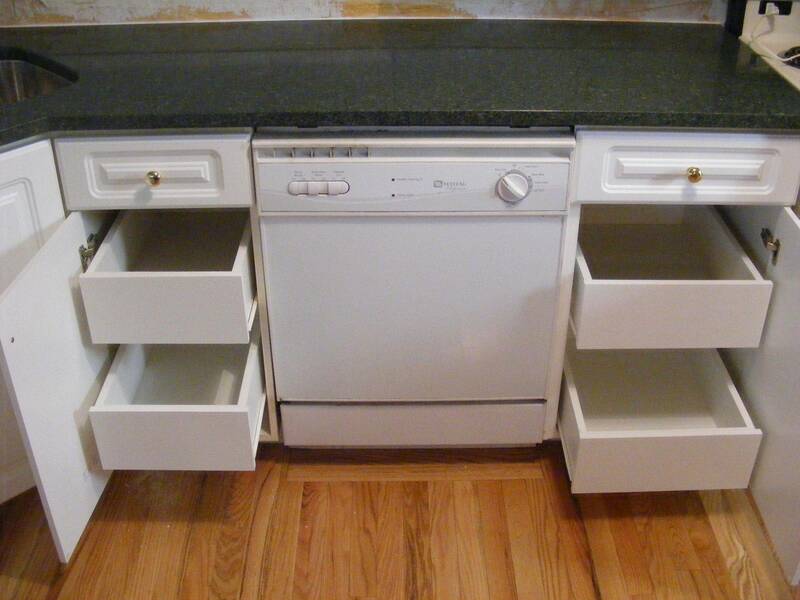 Storage is key in a functional kitchen remodeling project. We can turn a small kitchen renovation into a functional room. 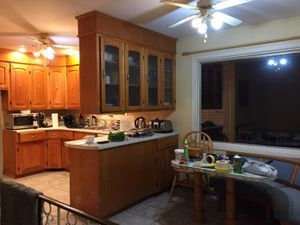 See more before and after cabinet makeovers. We also provide drawer box upgrades and extra cabinet hardware options if only needed in the Halifax surrounding area. For more storage-ideas follow this link ..